Instant ramen noodle vending machines? 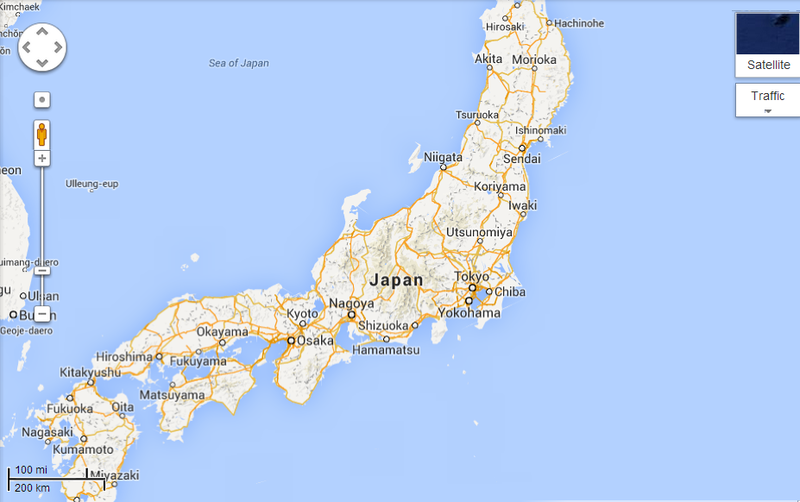 Only in Japan! 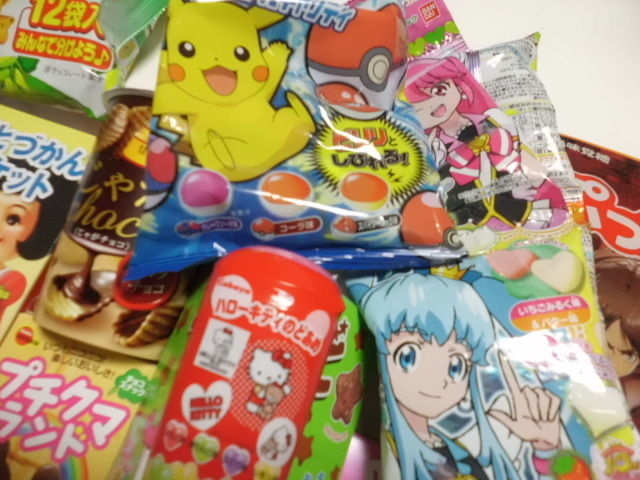 I’m doing an international candy swap, so I bought a ton of candy and snacks that’re very “Japanese”. 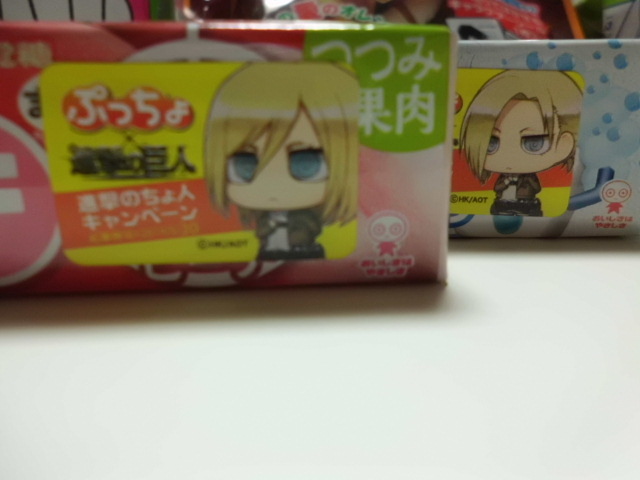 Because Attack on Titan is so popular in Japan and abroad, I couldn’t pass up these chewy candies with chibi Attack on Titan characters. Similar to Attack on Titan, One Piece has a strong fan following. 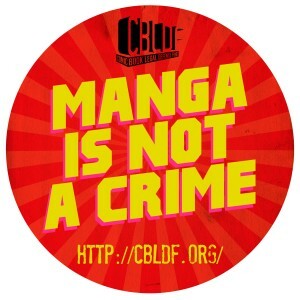 It’s no surprise to see Trafalgar Law representing this pack of chews. 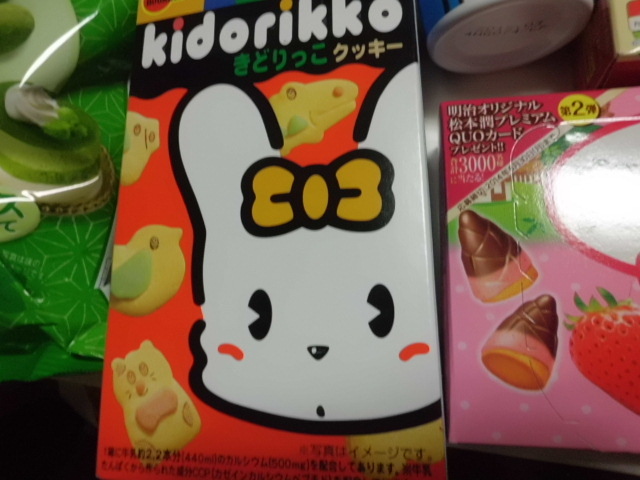 This box of Kidorikko cookies were too cute to pass up! Plus, in Japan, cute characters are on all products targeted for kids. Think of this as animal crackers for Japanese children.